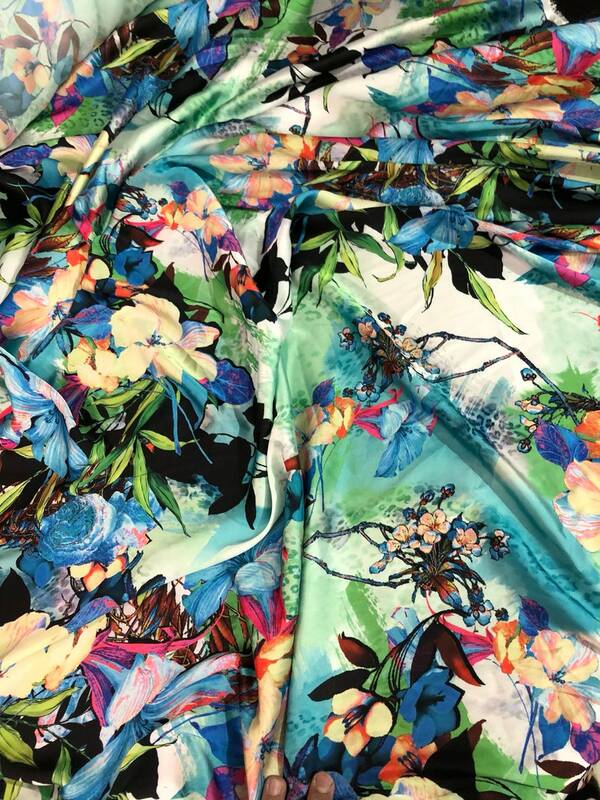 This is a poly charmeuse fabric from top designer fashion brand. Soft shinny light texture, appropriate for dresses, scarps, top or shirt etc. Thank you for your coming! Please read policy before placing an order. Please contact us via ETSY Conversations for more details. All order will be shipped from New York, USA. It is recommended to leave a phone number for the right delivery. All orders will be shipped to Etsy address only. All sales are final. Fabrics once cut can not be returned. If the parcel returns unclaimed, we will send it again after we receive the shipping cost for resending. Please be reminded that real color may look different from the pictures because of the camera, light and monitor...,which should not be a reason for non-positive feedback. Beautiful color and arrived super fast! It's a really pretty fabric. I'm excited to make a swim suit cover up with it for the summer! Sorry we don’t accept returns on fabrics. All The fabrics are cut according to customers specific size.